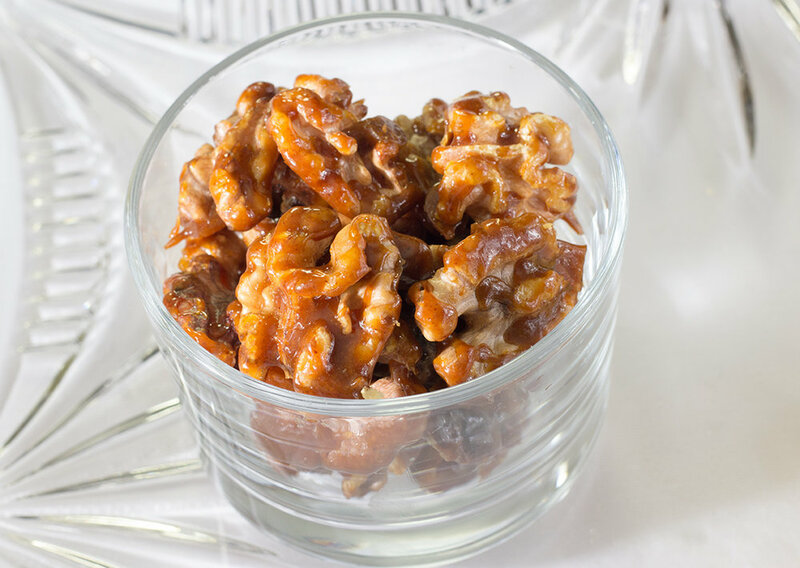 Once you start munching on ginger sugar walnuts, it's difficult to stop. So it's important to make more than enough. And that’s easy to do. It’s deliciously sweet with just a touch of ginger spice to excite the palate. 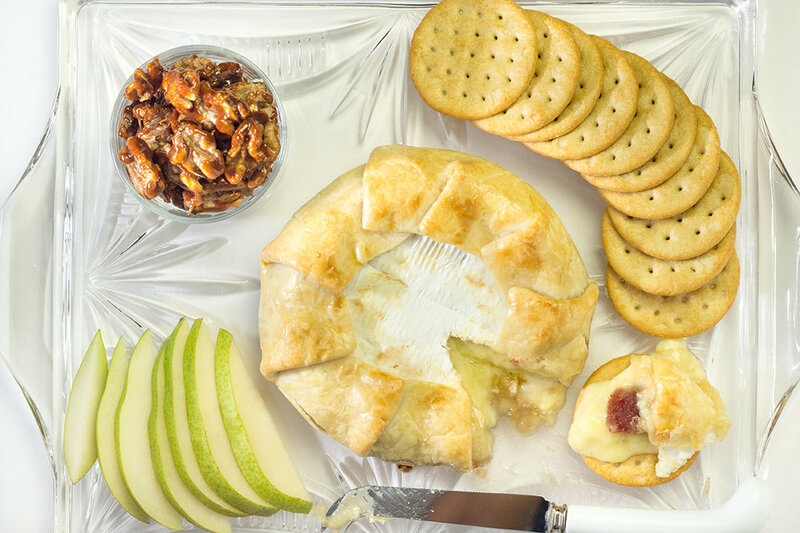 Serve as an appetizer, on a cheeseboard or just as a snack. Cheeseboard with baked raspberry brie, green anjou pears, crackers and ginger sugar walnut. On medium high heat, add all ingredients to a heavy bottom skillet. Stir, stir and stir until sugar has melted (about 5-10 minutes). Be careful not to burn. Transfer to a sheet tray lined with parchment paper or some other flat tray. Spread out the the walnuts and allow to cool. 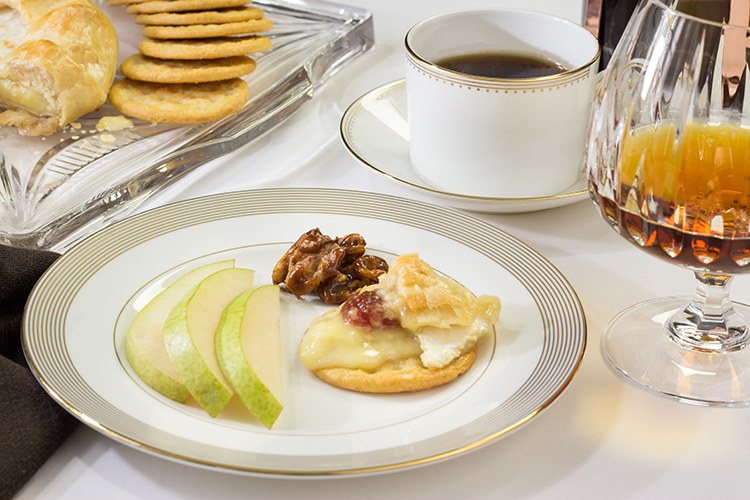 Note: I served the ginger sugar walnuts with baked brie, crackers and green anjou pear slices.